BdlC continue to expand their interiors department with the development of extensive communal spaces at 661. 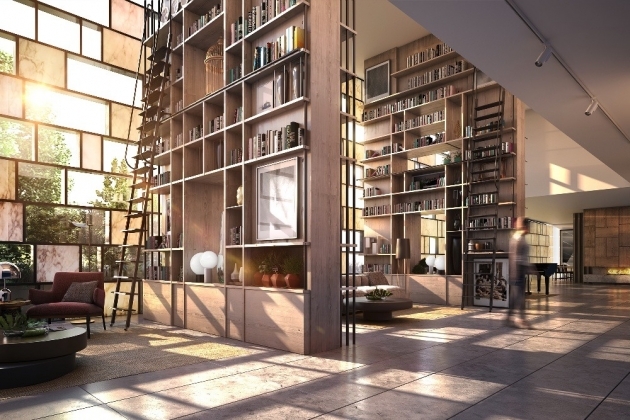 The entire ground floor and 6th floor are given over to shared spaces for residents - with a library, sculpture walk, private dining rooms, wine room, pool, gym and cinema room for the building's community. Crema have been appointed as builders for Gamuda Land.